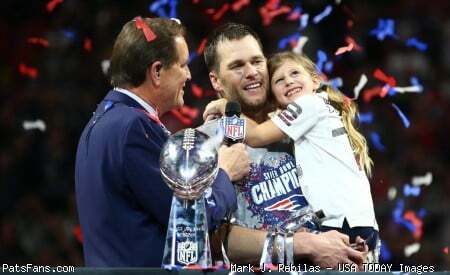 Discussion in 'NFL Football Forum' started by TommyBrady12, Mar 14, 2019. Too bad his brain retired a few years ago. don't need a brain to truck and run by people. Pats did not want to pay that much salary to a free agent WR. Looks like we are hoping to draft a WR and overcome our 10 year curse at that position. Julian Edelman, Brandon Tate, Taylor Price, Jeremy Ebert, Josh Boyce, Aaron Dobson, Jeremy Gallon, Devin Lucien, Malcolm Mitchell, Braxton Berrios. Yeah, not exactly a list of successes there in an entire decade of drafts outside of one notable exception. Edelman was not a WR. I think Demaryius Thomas fits the “Bill.” He has an achilles injury plus the recent arrest that will scare off most teams. Not sure about that guy. I actually stated Cobb is a good route runner.I didn't specifically state that about Nelson. We may not even sign any of them but if we were, I'd prefer Nelson and Cobb over Bryant. Um, no clue how I misread this totally then. Mea culpa. Sorry, the pitfalls of reading on phone in train I suppose. I think we’ve fine just fine without him. Tell that to the 2010, 2011, 2012, 2013 & 2015 Patriots. They would sign him if they were smart. Wasn't it reported they tried to trade for him last trade deadline. Hoping Dorsett can develop into someone like Amendola. 500-600 yards a year. Think he can if he gets the chance to start as WR #3. He had like 40 ypg without Edelman. Could make for a solid complimentary WR. I hope so too. He has good hands and decent speed. His problems aren't entirely brain-related. I'm ok without this guy. Can you imagine if Patriots had signed this guy and he posted this right after, what JE11 would think? This fool wasn't Patriot material, let him have fun with Eli, lmao. It was originally from 2016 when he went from Seattle to Detroit. He re-posted it following the NYG deal. It may come down to someone like that, though. Aside from a draft pick that we’ll expect to make it, we may need a reclamation project like Demarius Thomas. Maybe Jordy Nelson. Someone at a reasonable cost who still has a shot to produce in the right environment. Maybe Cobb or Garçon, too. Someone like that. Low to moderate costing vet.